THE news that Denvir’s Hotel has gone into receivership as part of the Botannic Inns Ltd collapse has rippled across Downpatrick and County Down. But the message from the company is that it will be ‘Business as usual’ for its many regular customers and visitors. Botannic Inns has a staff of around 600 in their 15 pubs and hotels and they will be relieved that there will be no closures or lay-offs imminent. 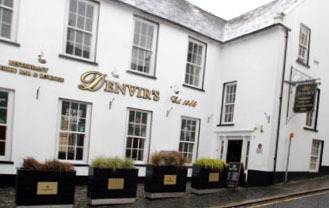 Denvir’s Hotel in Downpatrick was first founded in 1642 and has a long and interesting history. 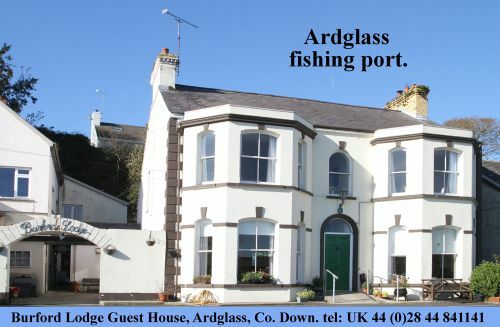 It is the oldest surviving coaching inn in Ireland and is a Grade A listed building. In recent years the establishment has been tastefully restored by the Botannic Inns group providing a haven of charm and character for its visitors. It will be business as usual in Denvir’s in Downpatrick after the announcement that Botannic Inns has gone into receivership. When the Denver family emigrate to America in 1789, they founded the city of Denver, Colarado. Through the troubled times of the United Irishmen, in the same year, Wolfe Tone and his associate met regularly in Denver’s hotel.But today, the local scene is different and the hotel has become one of a long list of businesses to be smitten by the economic recession. Colin Neill, Chief Executive, Pubs of Ulster commented on the latest news about the appointment of a joint administrator to Botanic Inns Limited and its parent company Kurkova: “This is disappointing news for Botanic Inns Limited and its parent company Kurkova. “Botanic Inns is an iconic brand for the city of Belfast and right across Northern Ireland. It has always had the highest reputation and regarded as one of our Blue Chip companies and we must do all we can to help support it at this time. “We welcome the Administrators intention that the venues will continue to trade as normal and that regulars and visitors to the Botanic Inns pubs and bars should be reassured that they are opened for business. “It is no secret that factors have accumulated over the past year which has made it a very tough trading environment right across the industry. The revenue reserves normally built up by publicans during the Christmas season have suffered in the current trading environment and the negative impact of the recent flag protests compounding the problems faced by the trade. “At the end of 2012, the number of pub licenses in Northern Ireland numbered 1252, down from 1481 in the year ending 2007. That can be put down to a number of factors such as the change in social habits, property revaluations, non-renewal of licenses and the impact that supermarket pricing is having. The offer from our pubs and bars here is still of the highest quality and remains a valuable asset.